There are nearly 12 million jobs available in nonprofit organization in the US. 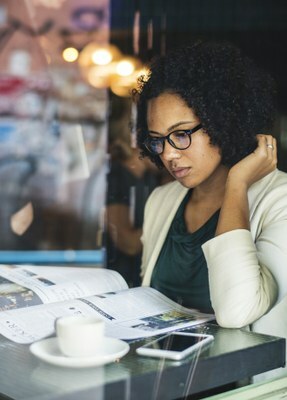 Information about nonprofit careers can help you determine which jobs are in demand, whether an undergraduate or advance degree is needed to be successful in a role you have your eye on and if you are being compensated correctly in your current nonprofit job. Campbell and Company's interview with two of their executive search practice leaders on Nonprofit Hiring & Talent Trends: What’s in Store for 2018? Forbes report on growth in the nonprofit sector. Daring to Lead, produced by CompassPoint Nonprofit Services and the Meyer Foundation in 2011, has surveyed more than 3,000 executive directors of small and mid-sized organization to examine the biggest challenges they face, particularly in the wake of the Great Recession. Ready to Lead? Next Generation Leaders Speak Out from 2008 by CompassPoint Nonprofit Services, the Meyer Foundation, the Annie E. Casey Foundation, and Idealist.org surveyed 6,000 emerging or prospective nonprofit leaders to assess obstacles to becoming executives. The Building Movement Project published Race to Lead: Confronting the Nonprofit Racial Leadership Gap in 2017 specifically to unpack the causes behind the disparity between the small number of people of color in executive roles and an increasingly diverse nation. Added in 2019, Race to Lead: Women of Color in the Nonprofit Sector digs even more deeply into the intersectional obstacles that women of color in particular face, with calls to action that focus on both systemic changes and individual support.